This study has 7 sessions, incorporating an introductory session and 6 lessons. The Study Set includes a Study Guide by Catherine Upchurch and a commentary, 'Introduction to the Bible, A Catholic Guide to Studying Scripture,' by Stephen J. Binz (Liturgical Press). Stephen J. Binz is a Catholic biblical scholar, speaker, and counselor. He did graduate studies at the Pontifical Biblical Institute in Rome and is a member of the Catholic Biblical Association and the Society of Biblical Literature. Binz is the author of numerous books on the Bible, including The Infancy Narratives of Jesus (Liturgical Press), the companion commentary to Little Rock Scripture Study of the same name, The Passion and Resurrection Narratives of Jesus, (Liturgical Press) the companion commentary to Little Rock Scripture Study of the same name, and The God of Freedom and Life, ( Liturgical Press) the companion commentary to the Little Rock Scripture Study, Exodus. This study opens the Bible for newcomers and experienced Bible students alike, providing a real boost to those looking to gain more from study of the Bible. Participants will become comfortable finding their way around the Bible, develop a better understanding of its themes and writing styles, and gain clear insights about Catholic use and interpretation of the Bible. 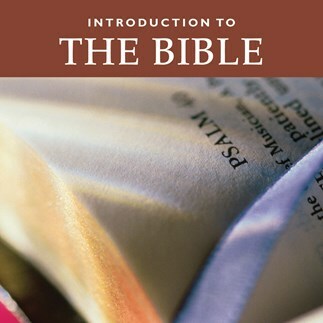 These lectures correspond to the seven sessions outlined in the Study Set for Introduction to the Bible.